From exquisite to luxurious: to shabby chic, vintage and rustic weddings. The MFG Floral team are masters at creating flower designs from your bridal bouquets to ceremonial flowers and reception floral landscapes to bring your unique vision to life. We have over 20 years of experience assisting Temecula brides and grooms with their unique wine country wedding to the water front wedding of San Diego and Orange County to tropical luxurious resorts. We provide the look of elegance on a working bride’s budget or we can help you achieve your platinum dream wedding. Please call for an appointment to work with a consultant to create your own bridal package. Soak in all the picturesque wine country wedding venues we have both reception and ceremonial sites to fit all types of brides and grooms tastes. We offer exclusive private estates, luxurious mansions and sprawling ranches in the Temecula countryside. Also including the iconic Temecula wineries such as Falkner, South Coast, Ponte and Wilson Creek with amazing sunsets. Ask about our all-inclusive wedding packages to go with your choice of venue. MFG Floral provides all floral arrangements for all your life’s milestones big or small. Let us continue to take care of your heart felt gesture with flower bouquets for your anniversary, birthday, Valentines day, get well, Mothers Day and sympathy flowers or just because. You can choose to either pick the up at our Murrieta location or have them delivered. We deliver throughout the Temecula Valley, Murrieta, Lake Elsinore, Menifee, Wildomar, and Sun City. We also offer wire services such as Teleflora, FTD, and 1800-Flowers to all your out of state friends and family. There is no denying that arranging birthday parties are a lot of fun, especially when your entire plan goes accordingly and there are no discrepancies whatsoever in the process. However, the thing that you must know about this is that when you are arranging a birthday party, you have to be really careful because things can go wrong if you are not careful enough. Keeping that in mind, if you have to go from one place to another at a birthday party, why not do it in style and hire a limo? You can do it by looking at the options from https://mrhummerlimos.com.au/. As for now, the main thing that we must keep in mind where is that there are some reasons as to why you should hire a limo for birthday parties. Let’s look. Simply put, by hiring a limo for birthday parties, you will only be making your entire experience much smoother than you might think. The good thing about these limos is that they can be acquired with ease, so you won’t have to go on and find the right one. If you are looking to travel in style, limos are a great way to go. Another benefit here is that limos do offer you a lot of space. So, keeping that in mind, you can easily make sure that more than a few people fit. If you are going with everyone who is invited or just the kids, then going with the professional limo is certainly the right thing to do because it will help you in more ways than just one, and you will not have any issues whatsoever. Just make sure that you are being careful about the hiring process and you would be good to go. One of the most important skills for pretty much anyone to learn is driving. This is because of the fact that if you don’t know how to drive you are probably not going to end up getting around as much as you would have liked, and the fact of the matter is that if you don’t have all of the right things that you would be able to do in this particular area there is no chance at all that you are going to end up experiencing anything worthwhile in your lifetime. 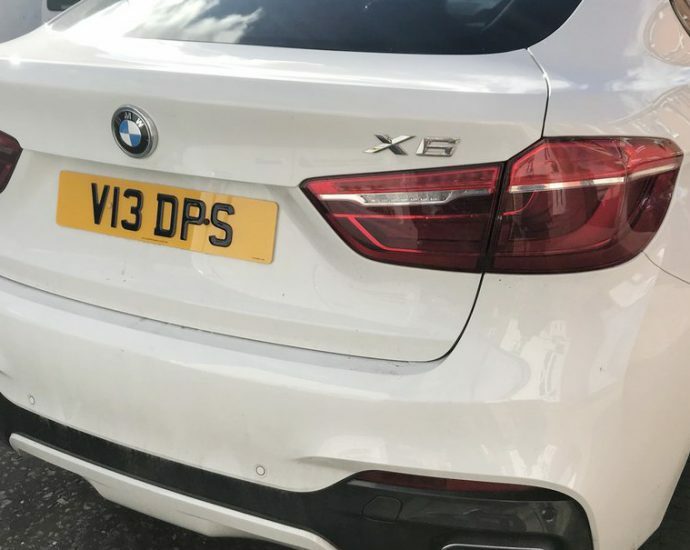 You need to learn how to drive, but once you have learned how to drive you should really think about how you are going to make the most of the driving experience by getting a good quality number plate issued. This number plate is going to make it so that your car is going to have some kind of identifier associated with it, an identifier that is going to lead to all kinds of benefits that you would not have been able to notice otherwise because of the fact that they are going to come to you only after you have actually gotten a plate that you can end up using. 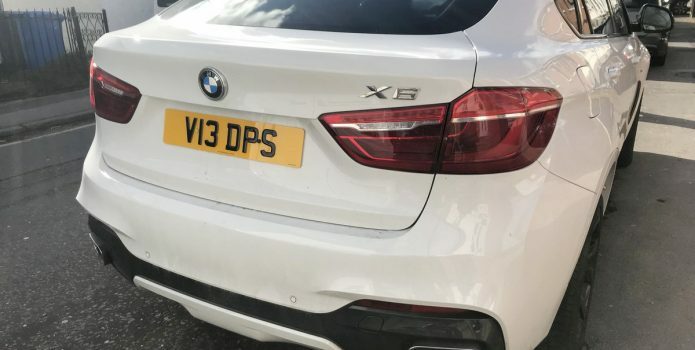 If you want to get a high quality license plate made, you should really think about looking into https://www.theprivateplateco.co.uk/dvla-number-plates.html. This is a great service provider that has been providing amazing plates for people for a long period of time. This needs to be said of course, but this service provider has an amazing reputation for always giving their customers the sort of experience that they initially required without adding any extra fancy stuff for pretty much no reason other than to inflate the price tag. One of the worst things about depression is that it leads to a lot of things becoming pretty much impossible for you to do. When you are dealing with something as serious as depression, you are probably going to end up losing a lot of motivation that you used to have. This means that you are probably not going to be able to eat all that much, or you are going to end up eating far too much junk food and not enough good, wholesome food, and you won’t be taking care of things like your personal hygiene which might just end up seeming quite mundane to you as well. Another thing that you should realize about depression is that it is going to make it quite difficult for you to clean your house as well. This is a particularly dangerous aspect of your depression because of the fact that it will turn into a vicious cycle. Your home will be dirty which will lead to you becoming even more depressed which will further lead to you being unable to clean your house even more and so on and so forth. You can see why this illness is such a big issue. If you are struggling with depression, consider researching where to locate the very best maid services in North Carolina. A maid can come and clean your house up for you, and once it has been cleaned you might just feel a little happy about life all in all. You can look into the cleaning process in a much more efficient way as well. The thing is, maintaining an already clean home is going to be much easier than trying to clean one that’s already quite filthy and beyond repair. For those who do not know, the peony tulips happen to have a very great looking bloom that looks a lot like peonies. 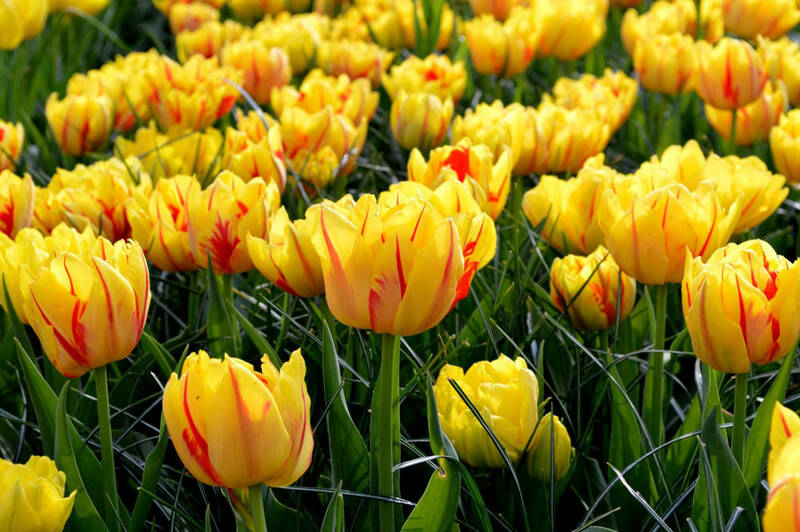 These flowers are some of the latest variants of tulips and normally open somewhere in late April and May. Aside from just looking amazing, these flowers happen to be great at being cut flowers. 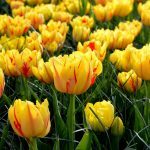 If you are looking to grow tulips for displaying them indoor, simply snip the blooms just before they open, and make sure that they are not placed in the same vessel as the daffodils. The simplest reason is that daffodils release a substance in the water that ends up inhibiting the tulips. With that out of the way, below, you will find some of the best peony tulips that you should grow. Tulipa Danceline is one of the most beautiful looking flowers you can lay your eyes on them. The petals have a creamy shade to it and the tips are marked with raspberry color. You can grow this flower alongside some others to create a great combination of colors. As the name suggests, these flowers carry a sunset tone that is filled with shades of orange, as well as purple. Orange Princess happens to be a great flower that you should grow in spring, and it will most certainly make your garden look a lot better and bursting with color. For anyone who is in search of a bi-colored flower, then the Monsella is just what you should be going for. The bright yellow flowers with orange accents just look amazing. This is a rather unusual tulip. The main part is creamy white, but the layer is usually made up of deep pink outer petals that reveal the beautiful center of white petals. It almost looks like a dollop of ice crea and happens to be an excellent cut flower as well. Tulip Chato is definitely one of my favorite forms of tulip all thanks to the way it looks. It is a gorgeous looking, fuchsia colored flower, and there is some amazing looking green veining that can be found in the center of every single petal as well. It opens early in March and April. A rather odd name for a flower, the Uncle Tom comes with a very gorgeous, deep red bloom that fades to purple as the flower matures. 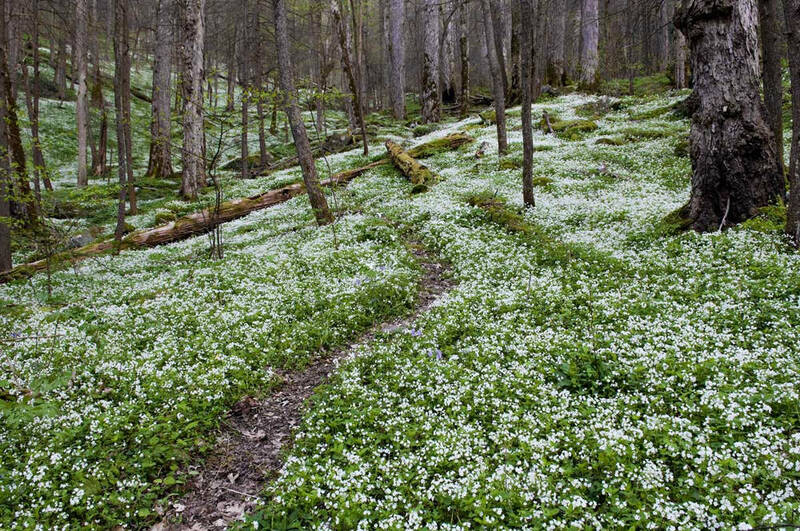 You can pretty much plant them anywhere you want, and they look amazing nonetheless. Sunlover goes a rather surprising change as it matures. The flower starts with orange-red, and turns to golden yellow. Tulipa Sunlover also happens to be a great cut flower. 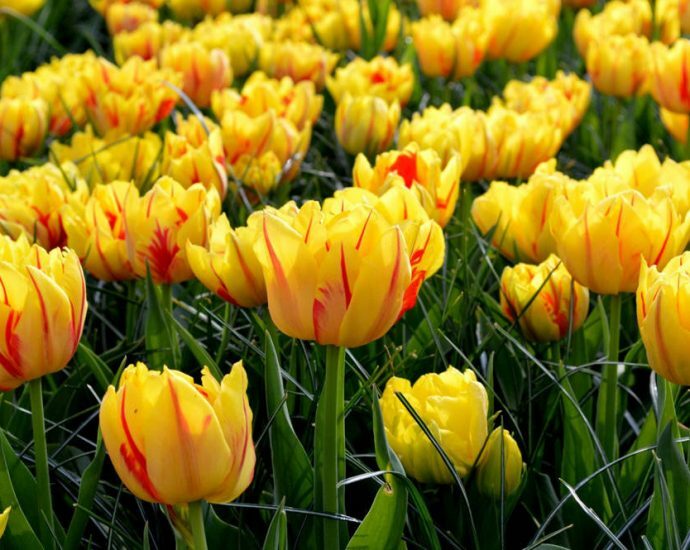 The last one we have is Tulipa Verona; it happens to carry a subtle fragrance, opens up with the color of creamy yellow tulips that is complemented with green. It opens earlier than most of the other tulips as well. Planting and growing a flower garden is something that most people take it as a passion. Sure, there are people who consider it as a time pass as well, but truth be told, once it does turn into a passion, there is not going back. Planting and growing a cut flower garden can be a difficult process. However, we must know how to handle things properly if we are to make the most of the time and money that we are going to invest in something like this. Now the process is simple, however, following it can be complicated for those who lack the proper experience. 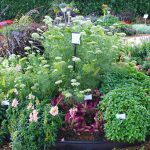 That is why in this article, we are going to be looking at some of the effective ways you can plant as well as grow a cut flower garden that will look absolutely amazing at the same time. With that said, let’s not delay any further and have a look, shall we? 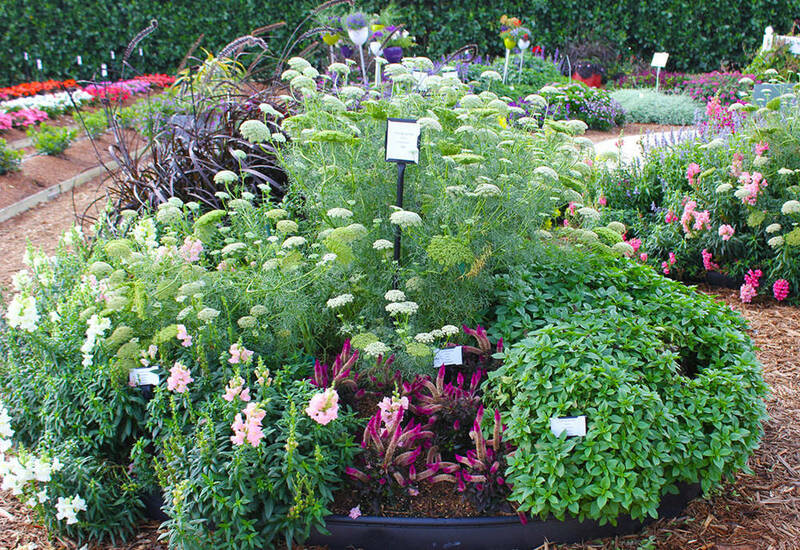 If you are new to gardening, the first step would be to choose the right gardening spot. This a crucial thing that most people forget and finding the right spot matters a lot because it can make a world of difference. Make sure that the spot you are picking has an ample amount of light and the soil is nice as well because you really do not want the things to go bad in any way. The next part is planting the garden, you can start with seedlings since different flowers grow on a different rate and have different blooming time as well. So, keeping that in mind, make sure that you are good at planting the garden because it happens to be one of the most important factors involved in the process. The growing part can be a complicated one for the newcomers, so when the flower growing part finally starts, make sure that you are up to date on everything involved in the process. 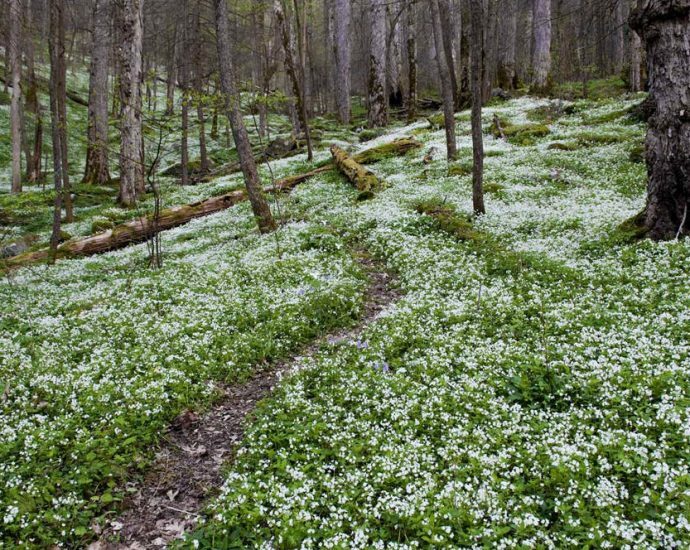 If you want to effectively grow the flowers, do it with finesses and in such a way that you do not have to run into multiple issues later down the road. 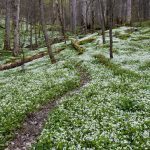 The last part involves picking the cut flowers, this process is not that difficult at all as most of it is straightforward and simple enough to achieve. However, there are few tips that you can follow to make the overall experience better. Make sure that you harvest in the morning or in the evening to avoid the heat. 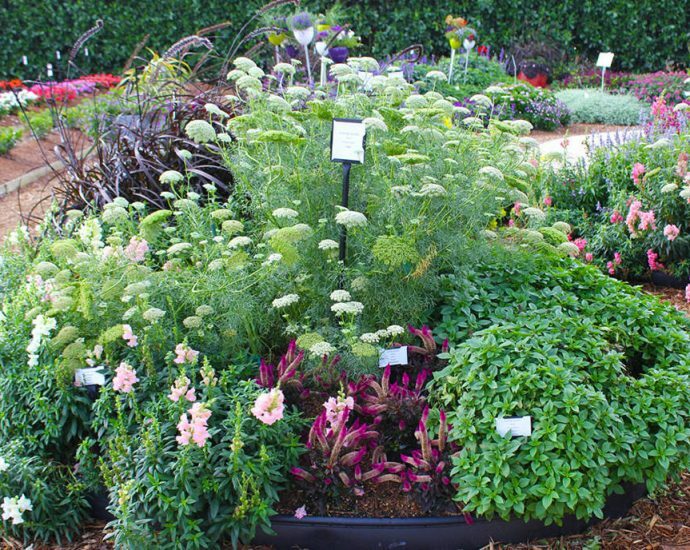 Choose the plants that are properly irrigated and not the ones that do not have enough water. Makee sure that you have a clean bucket at hand to put the flowers in. Following the tips above, I can assure you that planting and growing your own cut flower garden is going to be extremely convenient and very easy as well. You will not be running into any issues either. So always keep that in mind.